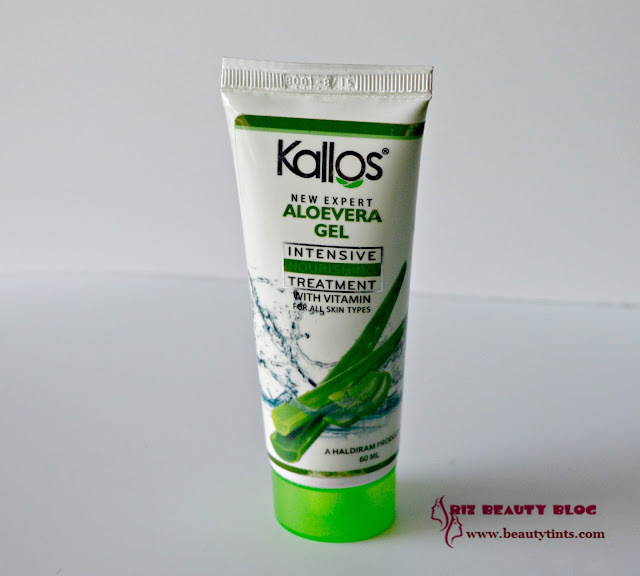 Sriz Beauty Blog: Kallos Aloevera Gel Review!!! 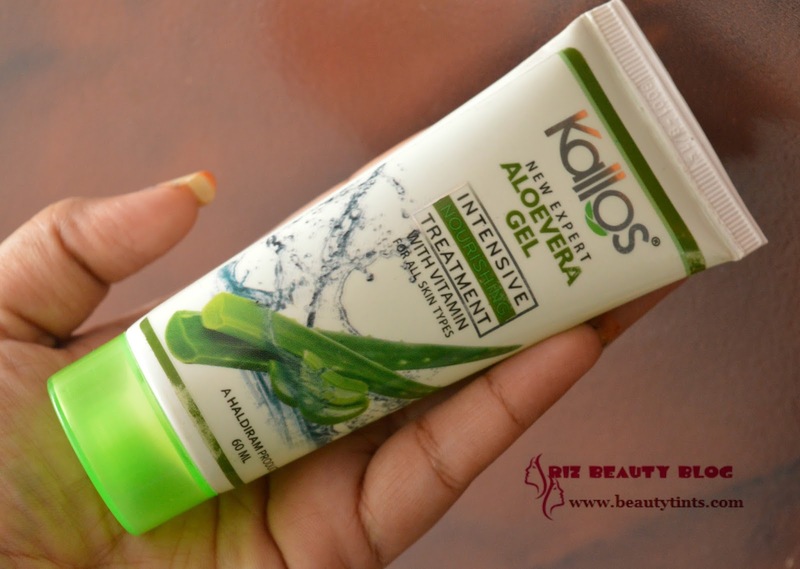 Today I am reviewing one more product from Kallos,which is their Aloe Vera Gel.It is a intensive nourishing treatment with vitamin A, which can be used for the face as well as entire body. 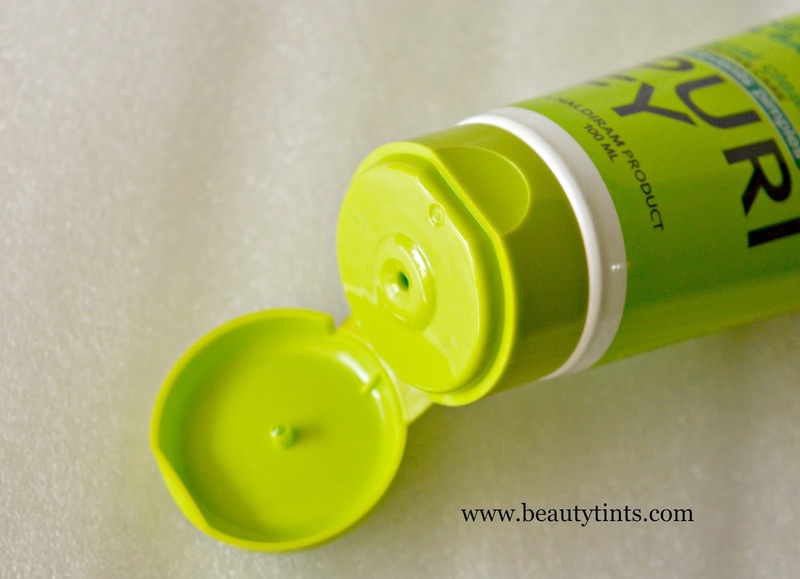 Packaging : This comes in a colorful tube packaging with a screw cap. 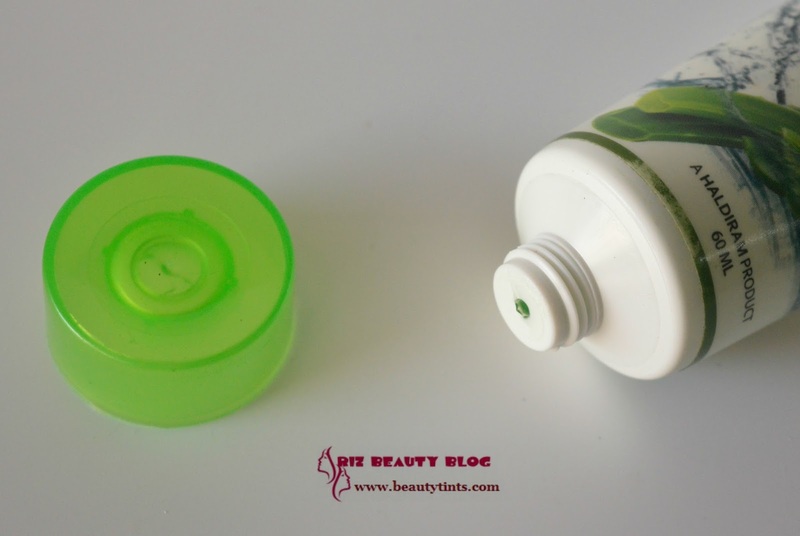 Color and texture : It is a pale green colored soft gel. Ingredients : Aloe vera juice, D M water, Carbopol. 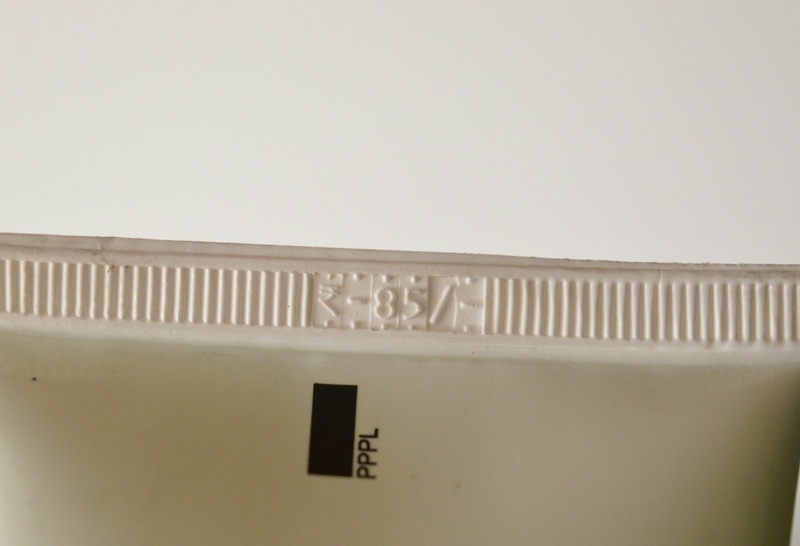 Glycerin, Prop. 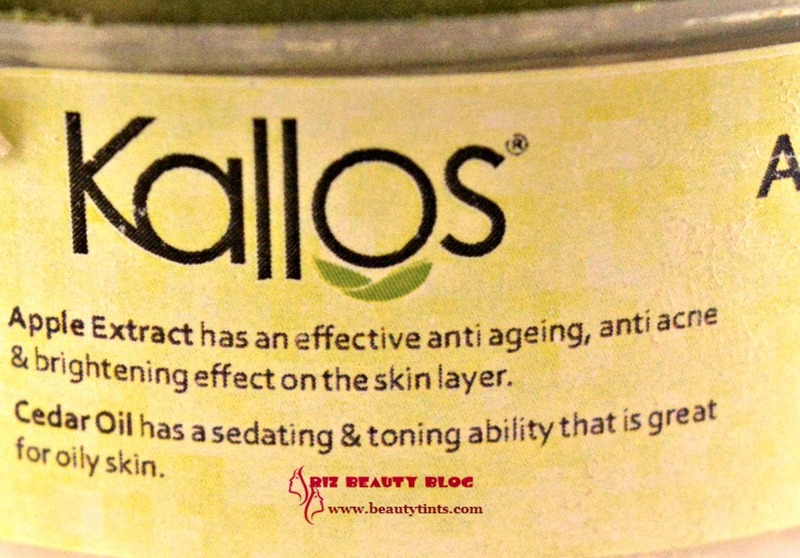 glycol, Dmdm Hydontoin, EDTA, Imido Urea.Tea,Niacinamide,D- Panthanol,Vitamin A, Fragrance. 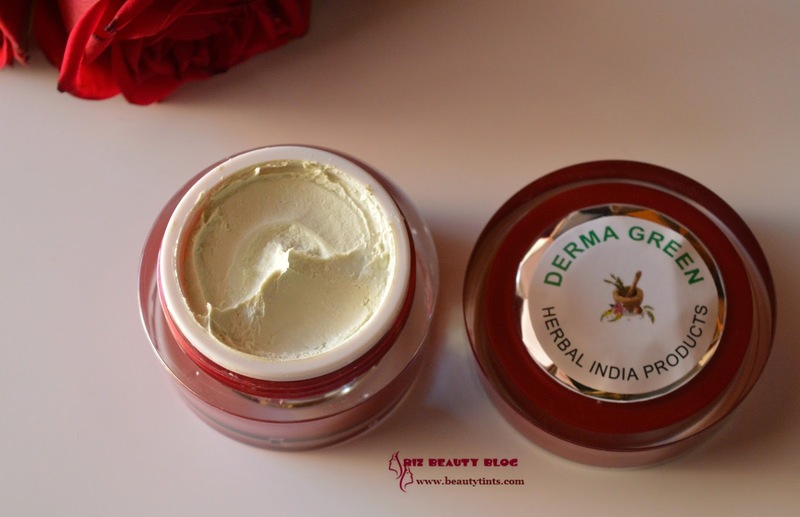 What the Product Claims : Recommended for Itchy or flaky skin, dry & tanned skin, Sensitive & dull skin,Hyper pigmented skin,excess oily skin. 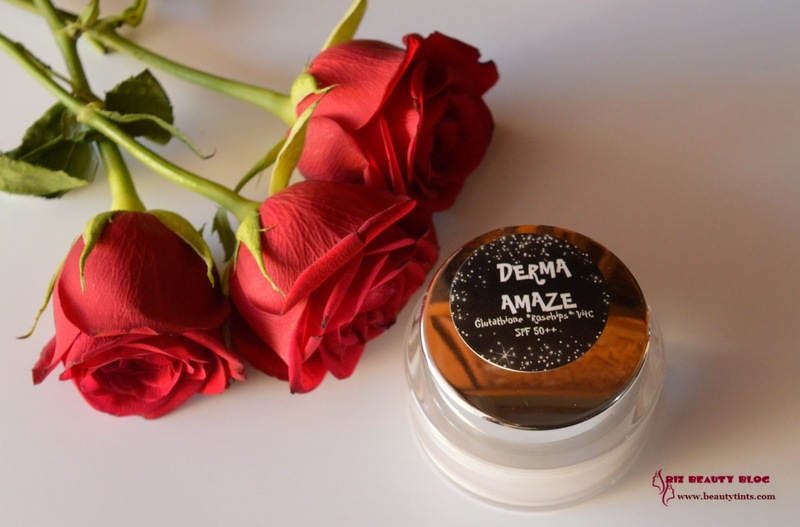 Direction : Apply sufficient quantity on the face and exposed areas of the skin for long lasting effects.Use daily!!! 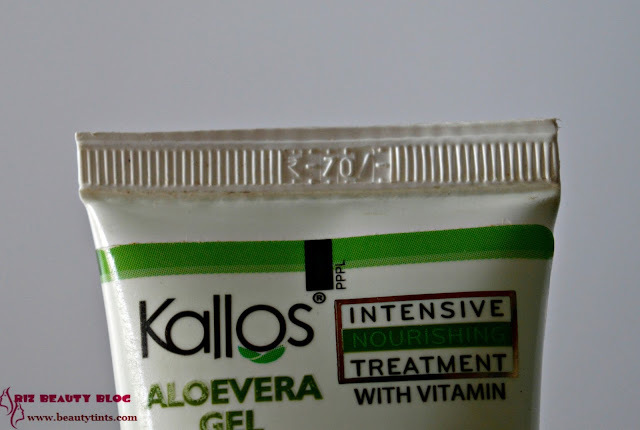 My View On the Product : This Kallos Aloe vera comes in a convenient and sturdy tube packaging with a screw cap,which is one thing which I really like as most of the other aloe vera gels comes in a tub packaging,which is unhygienic to use .It has the natural aloe vera fragrance.It is a pale green colored soft gel.Recently due to some hormonal problems,the skin on my neck has suddenly got extremely dry and started peeling.I was a bit scared and thought of visiting the doctor.Mean while I applied this Kallos Aloe vera gel,as I thought it will cool down the burning sensation in the area where I got the infection.I continued applying the gel 4-5 times a day for 2 days continuously and surprisingly my dry patch got vanished and my skin came back to normal condition and there is no sign of dry patch or skin,on the 3rd day when I am supposed to visit the doctor and so I canceled the appointment.From that day I am super impressed with this gel.Not that I am saying that only this particular gel will do the miracle but I whole heartedly say that this gel is in pure form and it is very effective against itching and dryness.It cools down the irritated skin with in seconds of application and gives a good relief.It is a must have for summers.I have used aloe vera gel from many brands till date but I can strongly say this is one of the best one! The price is also fine but for some it may be a bit high.Along with the goodness of aloe vera juice it also contains Vitamin A in it. 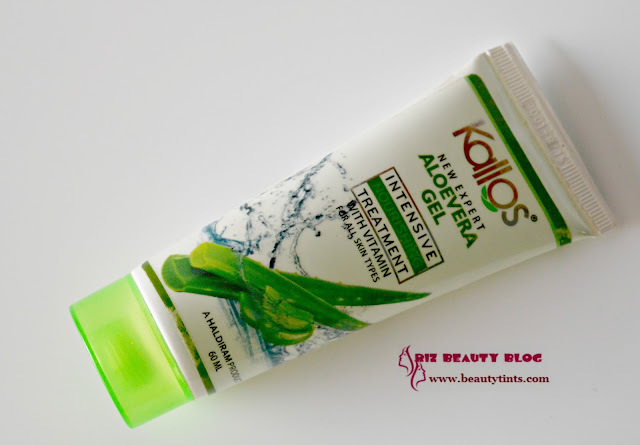 Final Conclusion about Kallos Aloevera Gel!!! : Those who have extreme dry skin or those who are suffering from skin irritation,redness and burning sensation should give this gel a try!! !